Originally published in Creation 19, no 3 (June 1997): 15-17. In Revelation 2:14 God, chastening the church in Pergamos, states, ‘But I have a few things against thee, because thou hast there them that hold the doctrine of Balaam, who taught Balac to cast a stumblingblock before the children of Israel, to eat things sacrificed unto idols, and to commit fornication.’ What is the doctrine of Balaam? In Numbers 22–24 we read how the Moabite King Balak tried to get Balaam to curse the people of Israel, to destroy their effectiveness in warfare. However, God would not allow Balaam to do this. But in Numbers 25 , we read that the Israelites sinned against God and so God judged them accordingly—thousands died. What caused this? Balaam wanted God to be angry with the people of Israel, so he advised Balak to get some of the most beautiful women in his kingdom to draw the men of Israel into unclean and idolatrous practices. Balaam knew that if the Israelites adopted pagan ways, God would not bless them as He had done. And so, the Israelites let the pagans influence them, instead of standing firm on the sure Word of God and His Holy Law! Satan has used this ‘trick’ time and time again. The church at Pergamos had committed spiritual ‘fornication’ in allowing people to compromise the Word of God—allowing pagan ideas to be adopted into the church. 2 Peter 2:15 and Jude 11 also refer to people who have rebelled against God and are compared to Balaam. Many Christian leaders have committed a form of ‘spiritual fornication’ in compromising with the world. Now what has all this to do with millions and billions of years? I believe Satan has used the same trick on the church today, as many Christian leaders have committed a form of ‘spiritual fornication’ in compromising with the world and thus have undermined the authority of the Word of the living God. How? Read the following representative quotes from respected Christian leaders and look for the common element! I have many other such quotes from Christian leaders—all saying basically the same thing—that they can’t believe in or insist upon six literal days of creation because they have accepted (or been influenced by) the evolutionary teaching of millions and billions of years. Let’s be honest—if one just reads God’s Word, without any outside influences whatsoever, one would never get the idea anywhere of millions of years. This idea, which contradicts Scripture, comes from outside of it. 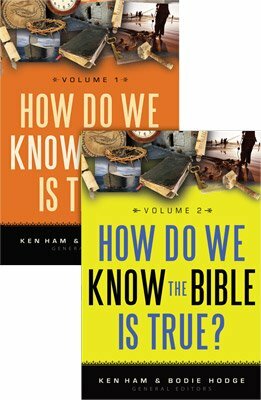 In fact, in my 20 years of creation ministry, I have found that in every instance where Christian leaders reject the six literal days and young Earth, it is ultimately because they have been influenced from outside of Scripture—particularly by the idea of millions and billions of years. Some will claim they reject the six literal days because of Scripture—but on further investigation, I have always found that the so called ‘scientific’ age of the Earth issue is the root cause. As with the ‘doctrine of Balaam’, such leaders have let the world seduce them, and thus have compromised the Word of God. So what is wrong with Christian leaders believing in millions or billions of years? They are telling the church it is OK to interpret the Bible according to the fallible methods of fallible men. This ultimately undermines the authority of the entire Word of God. As soon as one allows for millions of years, one has to accept death, bloodshed, disease and suffering before sin, since the millions of years are invariably applied to the fossil record—which is a record of death, bloodshed, disease and suffering. This destroys the foundations of the gospel message, as we have often demonstrated in this magazine. In essence, they are saying that God is unable to communicate to us clearly about origins—we have to trust the fallible scientists. They are fostering factual error. All truth is God’s truth, so real science must be built on God’s Word or it will lead to wrong conclusions. This compromise teaching is leading people away from simple faith in God’s Word, which brings the Lord’s condemnation. Why would Christians be so quick to accept the results of man’s fallible dating methods as absolute? We have been so indoctrinated by the media and the education system, that it seems radical to believe in a universe created a few thousand years ago. There is a fear of being seen to deny ‘facts’. However, all dating methods are based on fallible assumptions by fallible humans (even the many which suggest a young age), and so should not be taken as absolute truth over the clear teaching of God’s Word! Sadly, what seems to have happened within the church, is that the Bible is viewed as a book just like many others—it’s written by fallible men, so it needs to be interpreted according to the latest scientific theories, etc. But the Bible is not the word of fallible men—‘… it is in truth, the word of God …’ ( 1 Thessalonians 2:13 ). Christian leaders would do well to consider the warning that the Lord gave the church in Pergamos concerning those who compromised the Word by holding the ‘doctrine of Balaam’. ‘Repent; or else I will come unto thee quickly, and will fight against them with the sword of my mouth’ ( Revelation 2:16 ). The church is weak in our Western world—evolution-based humanism is taking over our nations. God is judging his church because of ‘spiritual fornication’—compromise with the world’s teachings. We need to give Christian leaders honour where it is due. Because they compromise in one area, does not mean everything they say cannot be trusted or used. However, Genesis is foundational to the rest of the Bible, and the way we approach Genesis will affect the way we approach the rest of Scripture. So if such leaders compromise the book of beginnings with man’s theories, then they must be lovingly held to account! The future of nations will be determined by what happens in this regard—it is indeed a serious issue. Genesis, an Expositional Commentary, James Montgomery Boice, p. 68. Space and Time in the Genesis Cosmogony, Meredith G. Kline, Westminster Theological Seminary in California p. 1. Unedited article prior to its appearance in Perspectives On Science & Christian Faith 48(1), March, 1996. Ref. 3, Footnote 47, p. 34. A Survey Of Old Testament Introduction, by Gleason L. Archer, p. 196–197, 1994. Letter, September 25, 1996, from Roy Clements, Pastor, Eden Baptist Church, United Kingdom. Letter from Dr John Brushaber, Chair Dept. of Biology, Asbury College, Kentucky, December 7, 1996. Focus on the Family, letter from Carolyn Bush, Senior Correspondence Assistant to Dr James Dobson, October 28, 1994. What Martin Luther Says: A Practical in-Home Anthology for the Active, # 4936, p. 1523, 1959.